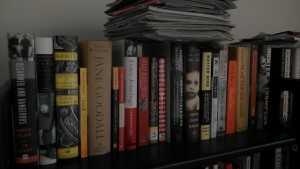 Weekend reads: Vaccine-neurological damage paper retracted under protest; buy a PhD thesis for $10,000; retraction by press release? Retraction by press release? A surgical device firm — which managed to obtain earlier drafts of a now-published study — is demanding the retraction of a study paid for by its rival, alleging problems. Our latest for STAT. The Journal of Death has a deadline, folks. Also, its title is taken from a Western TV series. Don’t submit here, as tempting as it may be. “Funders should assign research grants via a lottery system to reduce human bias,” writes Dorothy Bishop. (Nature Index) The idea has been floated before, including by Ferric Fang and Arturo Casadevall. Here is a link to a non-paywalled draft of the paper on registered reports in the last item. SSRN also has extensive anonymous quotations from conference authors, reviewers and attendees on the challenges of registration here , and from published authors discussing the impact of author discretion under the traditional editorial process < (e.g., p-hacking, HARKing) here . The quotes illustrate why the paper is titled “No System is Perfect”. minute, I have a better way of explaining these facts”. been aware (or had thought of) the alternate theory suggested by the other reviewer, they would have been well advised on an a priori basis to select it instead of the one they went with, but I had concerns about a wholesale replacement of a theory after data had been collected to test a different theory. On the other hand, the instrument used in collecting the data actually constituted a reasonably adequate way to test the alternate theory, except, of course that it wasn’t specifically designed to differentiate between the two. I don’t recall exactly how the situation was resolved as it was a number of years ago, but my recollection is that the paper was published after some additional data was collected that pointed to the alternate theory. A journal has retracted a controversial paper claiming that mice given an HPV vaccine showed signs of neurological damage. Next Next post: A former employee admitted to scientific misconduct. His new institution likely doesn’t know. What should you do?